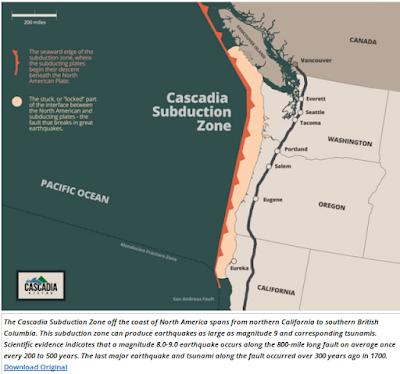 While Hollywood has made the San Andreas fault in Southern California far more famous, the Cascadia fault that runs along the Northern California, Oregon, Washington, and B.C. coast is believed capable of generating a much larger earthquake. And 316 years ago, it did just that, unleashing a massive (Est. M9.0) quake off the Pacific Northwest coast, sending tsunamis crashing into the North American shore – and some hours later – into Japan. Luckily, all this happened before European settlers had arrived in the region, and so very few people were around to witness it. Today, millions of people live in there, and the geologic record suggests giant quakes like that one happen every 200 to 500 years in that region. It's a disaster scenario we've looked at several times in the past - including in 2011's Just A Matter Of Time, and last year in OSU: Pragmatic Action - Not Fatalism - In Order To Survive The `Big One’ - and one that FEMA takes very seriously. Because while we may not know when it will happen, another big quake there is inevitable. 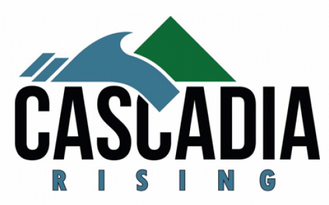 from both the United States and Canada, including various federal agencies, the U.S. military, state and local emergency response managers across the Pacific Northwest, Native American tribes and emergency management officials in British Columbia. 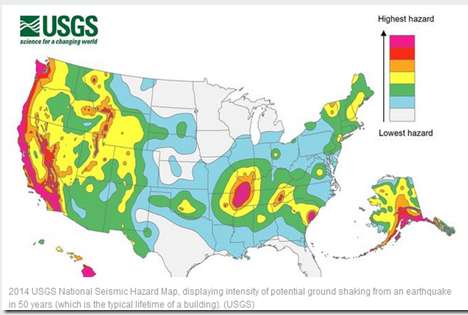 While the Pacific Northwest may have the potential for the largest quake in the continental United States, the seismic risks across much of the lower 48 are nothing to sneeze at. A recent USGS study published in the journal Earthquake Spectra, nearly doubles – to 143 million - the number of Americans who live or work in areas susceptible to potentially damaging ground shaking (see USGS: Nearly Half Of U.S. Population Exposed to Potentially Damaging Earthquakes). Seismic threats extend beyond earthquakes, as they also include volcanic eruptions (see Washington State: Volcano Awareness Month) - and Tsunamis – both of which have the ability to affect both people and property thousands of miles away from the originating event (see The USGS West Coast Tsunami Scenario Report & East Coast Tsunami Threats). Which is why everyone should have a disaster plan, not just those who live in an earthquake zone. As a bare minimum, everyone should have a well thought out disaster and family communications plan, along with a good first aid kit, a `bug-out bag’, and sufficient emergency supplies to last at least 72 hours. Beyond individual and family preparedness, in NPM13: The Greatest Prep Of All, I wrote about what I consider to be the most important preparedness step you can take – having, and being, a disaster buddy. Cultivating a network of family and friends to whom you can turn for help in a disaster, to who can turn to you for aid, if they need it. Working to improve earthquake awareness, preparation, and safety is Shakeout.org, which promotes yearly earthquake drills and education around the country (see Next Week’s Great ShakeOut Earthquake Drill). If you live in one of these seismically active areas, I would strongly encourage you to take part in these yearly drills. To become better prepared as an individual, family, business owner, or community to deal with all types of disasters, I would invite you to visit the following preparedness sites.